Everyone loves the symbol of Buddha " but now fun contemporary colors make the beloved symbol a striking and insightful piece of home dcor. 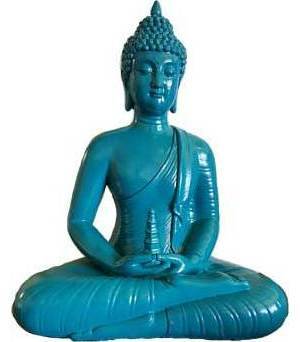 Bring Zen to your living spaces! This calm and resting Buddha is one of our favorite versions yet! A bright blue makes a bold statement to any room. Dimensions: 12".